Around two years ago, a couple had purchased a Shell gas station, which was under construction in Mogi das Cruzes, Brazil. Sabrina Plannerer and her partner noticed that there was an adult dog, who actually was quite frightened to leave that place. His former owner had abandoned him and somehow he had started to feel comfortable at the under-construction gas station. Understanding his condition, the couple adopted him, rather than getting rid of him. Negao, was adopted by Sabrina, and the couple took him to the vet to get him vaccinated and de-wormed. They gave him all the care he needed, and bought him a dog house, food and even a leash so that he could be taken on walks. Now, this is something most compassionate people would have done, but the couple we are talking about did something truly out-of-the-box. When the gas station opened up, Negao got himself a job at the gas station; he was initially frightened to leave. Yes, you read it correctly; he is an employee at the gas station, and with an employee badge. 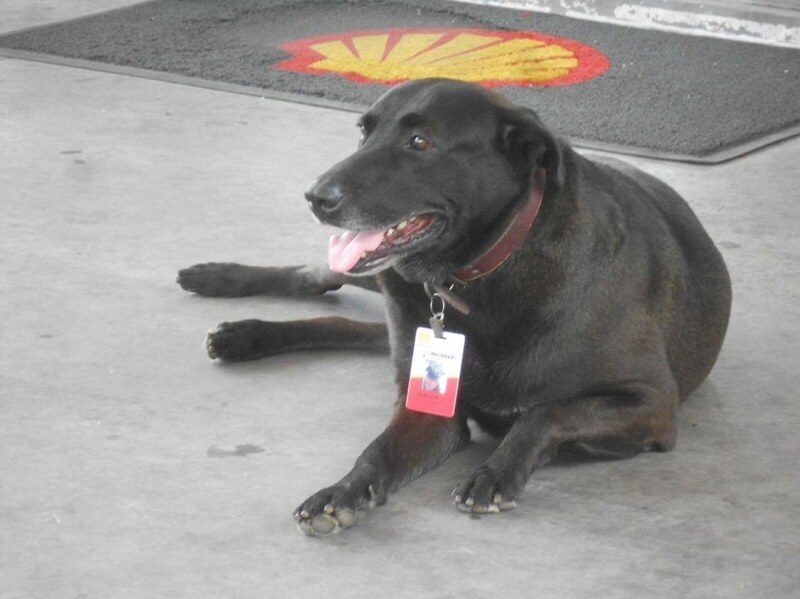 Although, Sabrina was a little apprehensive initially, thinking how would he react to the sudden upsurge in the number of people coming to the gas station, but as it turned out, Negao is one happy dog now, who gives world class customer service by welcoming and greeting the customers with a SMILE. 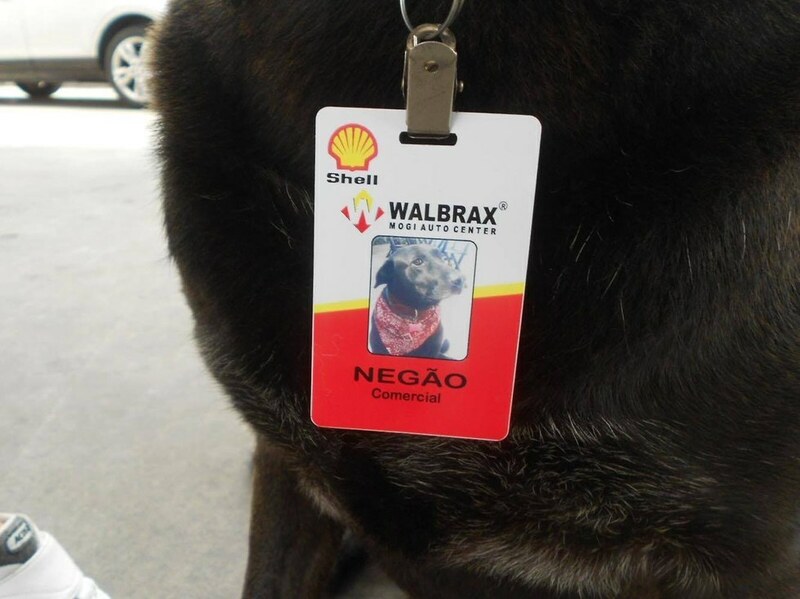 Sabrina says, Negao waits for the people to come and then naturally goes up to them to say hello, and this has won the hearts of so many customers. His charm is such that people even get him toys. Apart from these encounters with the customers, he is also taken care of by Sabrina and other employees. 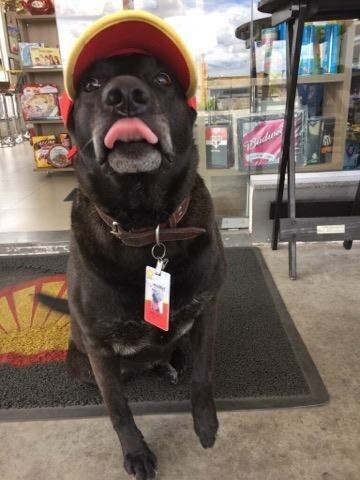 Someone or the other takes him on walks in town, and as the gas station is staffed 24*7, at least one co-worker of the cutest employee is always with him to take care of him. Who was once a lonely dog, scared to leave that place, now proudly works there and is the favourite employee of all the customers who come in, and the best co-worker for all the other employees of the station. In fact, Negao has even become a poster-pup for a local initiative run by charity Grupo FERA, whose main aim is to connect businesses with needy and lonely stray dogs, if they do not get adopted into the traditional homes. 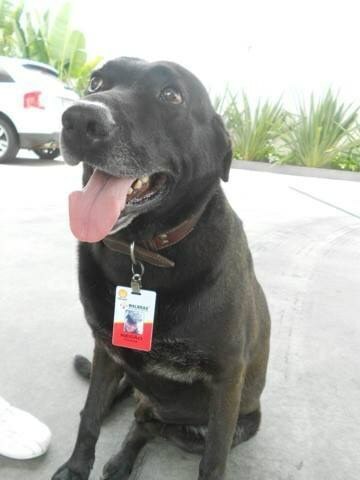 A spokesperson from Grupo FERA told The Dodo, “It’s been sensational, encouraging people to have more respect for animals.” Even Sabrina feels happy and hopeful that Negao’s story might influence other businesses to hire a pooch as an employee. We surely loved what Sabrina and her partner did, as it gave a great life to Negao, who now has all the love of the world. People should really take some cues from this hiring and think about including a pet in the team, as that would not only get in more customers, but even the employees would enjoy the company of a pet. What do you think about this idea? Should more businesses hire pets? Tell us in the comments section below and do share this story if you liked what Negao does.